The Exchange EDB to PST converter recovers the Exchange Server EDB mailboxes and save it into PST file format. You can create single PST file for a EDB mailbox with all the data. The software by default creates UNICODE PST file thus, you can easily convert any size of EDB mailbox into PST file. 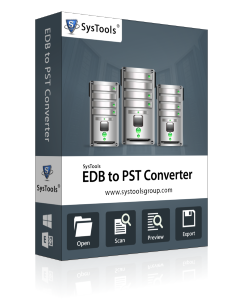 If you need more information please contact the developers of SysTools Exchange EDB To PST Converter (SysTools Software), or check out their product website.